Having found a box and bought packing supplies, I found it slightly ironic that when I began to pack up most of my photography equipment to send off to sell, ‘Defining Moments,’ were the words that came to mind. Perhaps it was a subtle whisper from the ghost of Alfred Eisenstadet. While not a picture perfect moment, it was a defining one for me. I’ve been holding on to an idea of who I am that no longer fits me. I wrote about this in detail a few weeks ago when I gave you a look at some of the images from weddings I’ve photographed in the past. Wedding photography as a career no longer suits my lifestyle. That doesn’t mean leaving it behind is painless and it’s about more than the just the idea of losing money on expensive equipment. I love the energy of a wedding day shoot and the private access it gives me to the stories of the people involved. There’s a thrill that comes from knowing you have an almost open invitation to discreetly document the moments they might not remember until later when they see your work. I may miss the excitement of wedding day drama, but the business side of it leaves me cold and life passes too quickly to waste time doing things that don’t give back enough to support your passion. I always hated when potential clients wanted haggle over my fees as if we were at the corner market buying and selling fruit. It felt demeaning to us both. 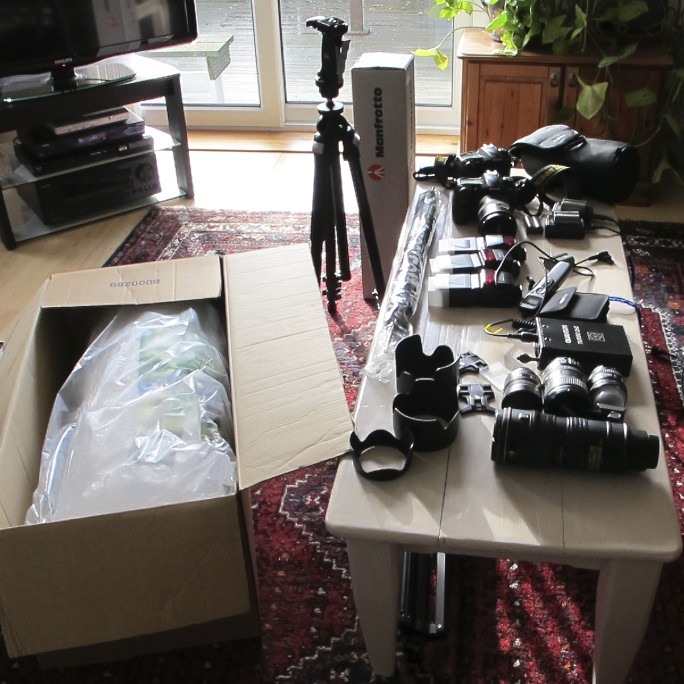 As I was going through my camera gear making decisions about what needed to go, I had everything laid out on a low table in our living room and could see just how much I’d invested over the years. I mentally added up the cost of certain pieces as I picked up a camera with my favorite lens still attached, but it was the weighty feel of it in my hands rather than the money that made me pause as I considered how once it was gone, I was unlikely to ever hold one so substantial again. After loads of internal dialogue, I replayed the logical reasons why I didn’t need this equipment if I wasn’t doing professional work, but it was the memory of a story I’d heard that reassured me that I was doing the right thing by selling it all now. Most of us have things like this in our lives, they hang around taking up space long after we’ve moved on. I told John that seeing the money-making tools my photography life laid out for me to touch felt a bit like the story of the miser who kept his gold under the floorboards of his house. I can’t remember the details, but what came to mind was the image of the miser up late at night when everyone was asleep, taking out his gold and counting it while admiring its beauty and imagining all the things he could buy with his fortune. The problem was he never spent it, never shared it, and died with it still hidden under floor. My camera equipment has been like that for a while … safely tucked away, but not being used. While it was here, there was room for ambiguity about the future, at least with regard to one area of my life. Giving up ‘my gold’ may seem like I’m closing a door on photography, but I’ve got another idea more suited to the life I’m constantly creating. I’ve been using a camera for over forty years and that’s not going to change. I like shooting on the fly so my gear will likely stay small from now on. 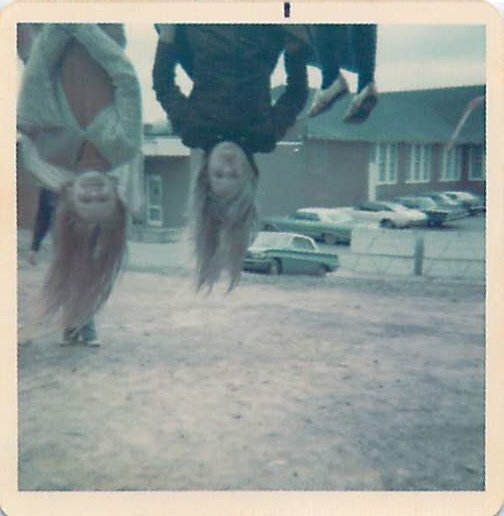 It’s funny to see echos of my current style in this playground snap taken when I was ten. It’s one of the few pictures I still have taken with my first camera. I do love the action shot! Speaking of action shots, I took this one a few minutes ago. 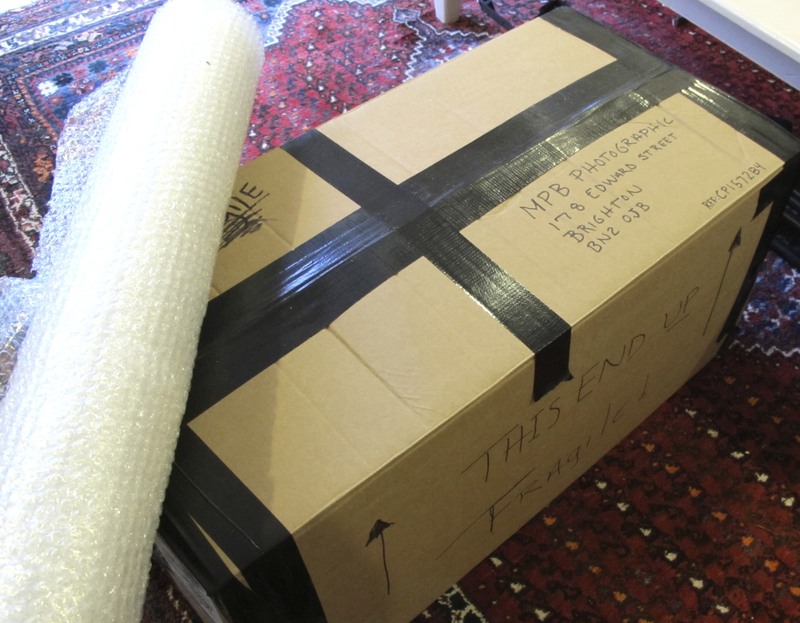 With the exception of a few items, that’s my professional photo life all wrapped up tight and tidy in a box … next stop MPB Photographic. Here’s hoping someone out there finds a good use for my gear. I’ve still got what I need for now. This entry was posted in Adventure, Big Bag of Dreams, Choices, Life in General, Memories, Money, One Word - Completion, One Word - Encourage, Photography and tagged Alfred Eisenstadet, Changing My Image, Choosing a Camera, Decluttering, Defining Moments, Elizabeth Harper, Ernst Haas, Gifts Of The Journey, Giving Up The Gold, MPB Photographic, Nikon D200, Photography, Professional Wedding Photographer, Selling Camera Equipment Online, Wedding Photography. Bookmark the permalink. I love this post. I have similar “gold” laying about my house that I have struggled so much with separating the warm sentiment I feel when I look on it vs. the constant dusting and seeing something that should have daily use, sit idle for months or even years. The story of the gold will be a helpful way of looking at these things and hopefully doing right by them. Great post Elizabeth, another solid gold reason for you to concentrate on what treasure needs to be nurtured! I’m clearing out my house too – I know that feeling. So hard but so necessary..
..are you investing in a great pen to write with??!! that had to be a little hard to do but i understand. I know you have great plans ahead. Wow – I can feel the emotion in your post!!! Excited for your next steps – I hope it brings you as much joy as shooting weddings did!